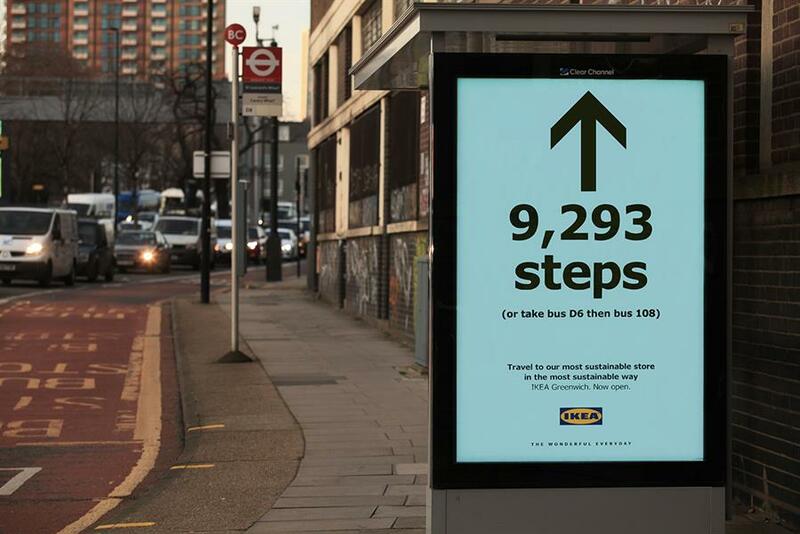 The outdoor ads across southeast London point people to the new Ikea Greenwich with exact footsteps and public transport directions. The 80 different poster sites are unique and will run for the next six months, with the hope that directions to Ikea will become well known in the local area. Ikea’s Greenwich store includes green features such as solar panels, rainwater collection systems and a roof garden.